Even though coral is technically the color of the year, you’ve probably noticed that beige is one of the hottest colors in fashion this year. You’ll see every shade of beige possible: camel, caramel, dust, sand, and stone in every store and street corner. 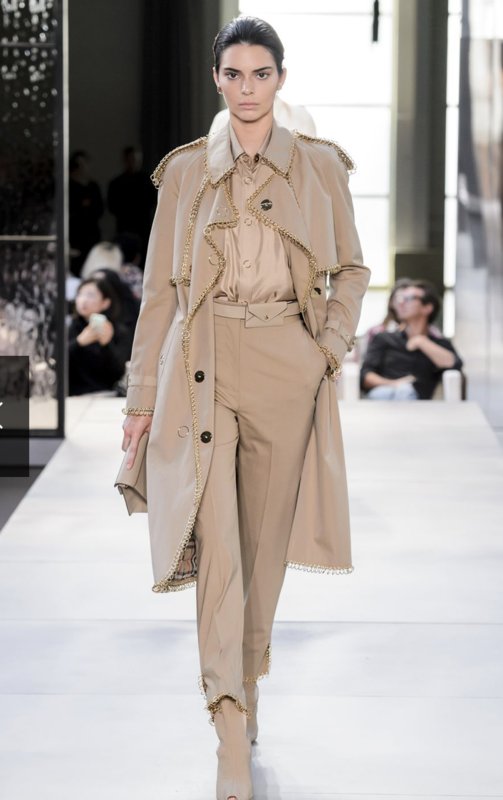 Take a look below at the beige trend on runways at fashion week! Some may say the beige trend is boring when we’re used to seeing bold yellows and greens in spring, but we are here for it. The looks above show a more monochrome and aspirational way of wearing this trend, but there are countless ways to incorporate it in your wardrobe. See a few of our favorite looks below! This is probably my favorite way to style beige. There is something about how beige looks with white that is so classic and chic. All you need is a classic white button down or a pair of white denim jeans and you’ve got yourself the makings of a beautiful look! Take a look below to see our take on the beige trend as styled in our photo shoot! White jeans and a beige sweater paired with our Mini Keri Bucket Bag, Eliza Ring, and a cream hat. 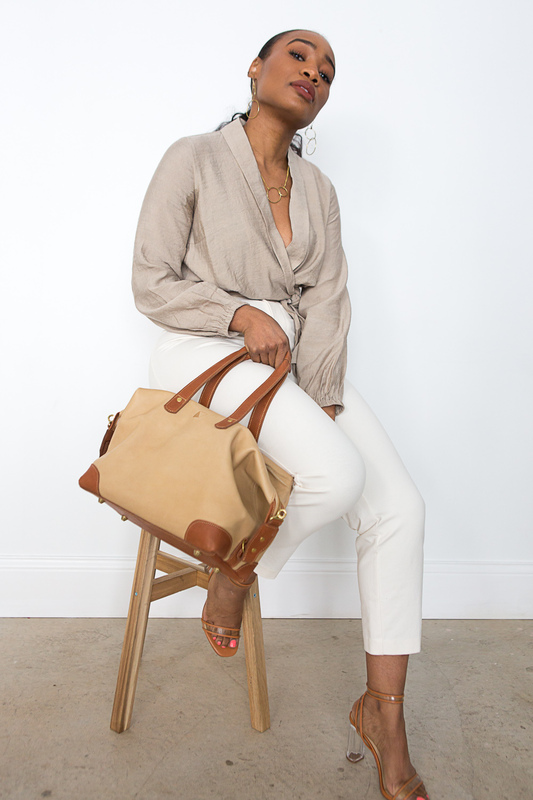 White capris and a beige top paired with our Ellen Handbag in sand, our Heritage Necklace and Earrings, and clear and caramel heels. 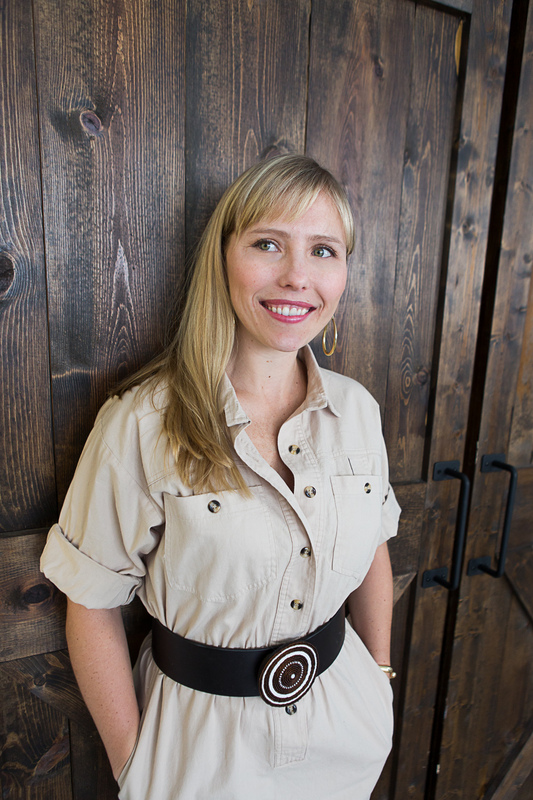 A beige dress paired with a bold belt and brass Hudson Hoops for some interest. Camel-beige pants with similarly colored sandals and a pop of blue on top. We paired this look with our Joanie Tote in sand, Hudson Hoops in horn, Maggie Bracelet, and Hilary Necklace.